Leave it to Vogue to figure out what we should be wearing to all of our holiday parties (and beyond) this year. The magazine's pick: pleated metallic midi skirts. 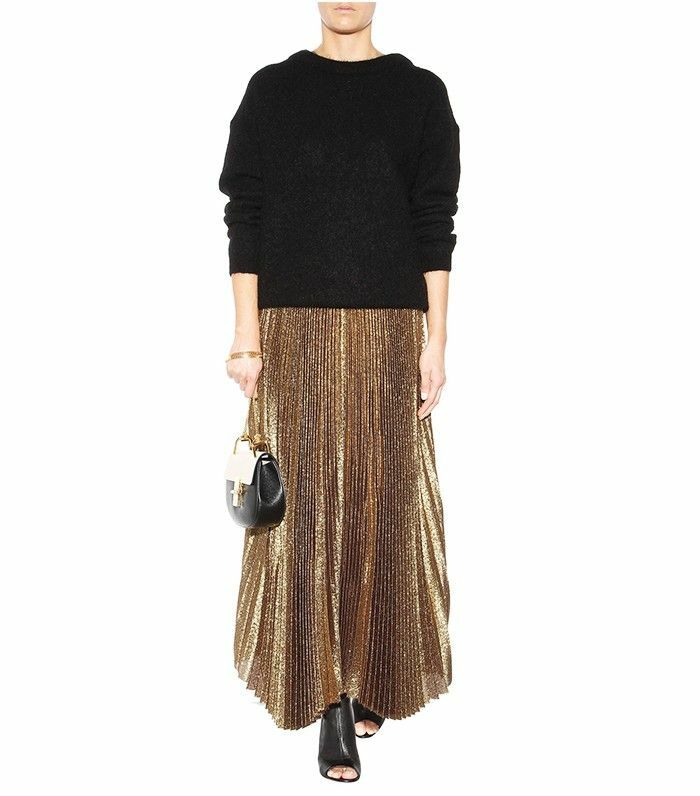 Not only are these skirts shiny and festive, but also, they can easily be worn post–holiday season. Pair them with cozy turtlenecks, tailored blazers, or a glam bodysuit for a party look that is completely out of this world. Keep scrolling to shop metallic holiday skirts here! What will you be wearing to all of your holiday parties this season? Let us know in the comments below!